Have you ever dreamed of seeing your bright, perfect smile on posters and billboards across Sydney? Oh, what wouldn’t you give to appear on one of those big ad campaigns! Unfortunately, years of improper diet and poor dental hygiene have taken its toll on your pearly whites, and all your hopes of appearing on those billboards are now dashed. Don’t despair! There’s still hope—and you can make your dreams come true by seeing a cosmetic dentist. We know you might be shaking your head right now, thinking how scary it is to visit one, and how much money you’ll have to shell out for vanity’s sake. However, seeing a dental practitioner to get porcelain veneers or to take advantage of procedures like teeth whitening isn’t just about having people praise you or admire your pearly whites. It goes deeper than that. In this post, we’ll share the many benefits of choosing these dental solutions. This dental solution is for people whose teeth are chipped. An injury from sports or an accident may cause chipping and mar your dazzling smile. Aside from fixing chipped teeth, this procedure is also ideal for patients with gaps between their teeth, have severe discolouration caused by root canal therapy, or have discoloured teeth that can’t be fixed by whitening treatments. In some situations, the solution is presented to people with bite-related problems. Though the procedure is irreversible, it offers a host of benefits. Gone are the days when veneers look out of place! With this porcelain option, you can have a natural-looking lustrous tooth in place of the chipped one. You can be this confident person who can flash your pearly whites and not have to worry about having a tooth looking out of place. What’s more, it can last for years and is highly resistant to damage as long as you take proper care of your teeth. So, you think teeth whitening is all about getting rid of that yellowish tinge? Truth is, in some cases, colour is not an indication that there’s something wrong with your dental health. Some people have teeth so white yet hide a number of deep-seated problems. So, why opt for the procedure? Aside from age and trauma, the main causes of discolouration are poor dental hygiene, smoking, and consuming drinks such as coffee, cola and other dark-coloured beverages regularly. Teeth whitening may involve a number of visits to your dentist or several applications for take-home whitening kits. You will be advised to stop smoking or reduce/eliminate caffeine intake to get outstanding results from the treatment. 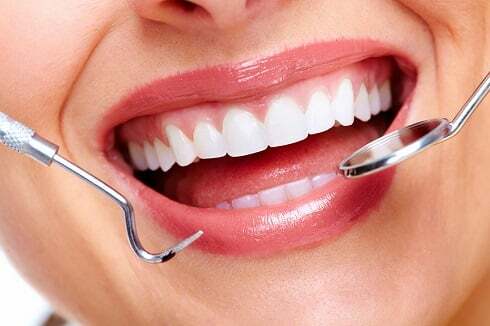 You’ll not only have lustrous pearly whites to show off, you’ll also feel better generally with a healthier lifestyle. No more annoying caffeine-related headaches, or bad breath caused by smoking. As you can see, these cosmetic procedures are not done just to satisfy vanity. Though that’s usually the main reason patients opt for these solutions, they soon realise that these are more than just quick-fixes. Got something on your mind about these procedures? Share your thoughts in the comments section below or get in touch with us today. The best information on this topic that you shared with us.Thank you for sharing with us. You made a good site it very useful to us. I am very impressed with your site and also I like your information a lot. Thanks for sharing the best and useful information, You did a good job and giving us the best suggestions and instructions they amazing.I am very satisfied with your site and also with your information.